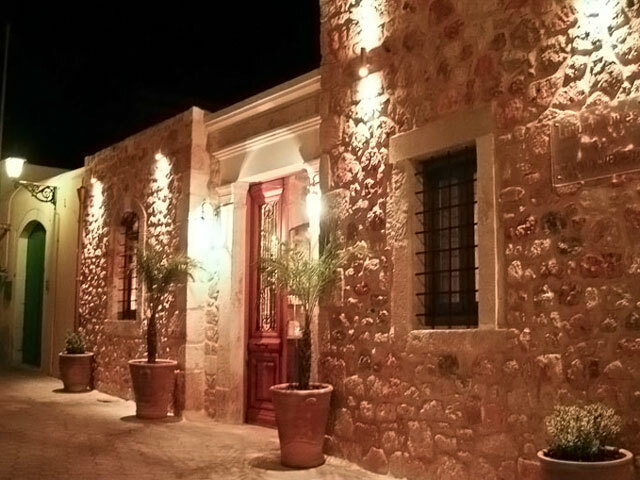 Open All Year...Casa Di Veneto is located in Ano (Old) Hersonissos ready to provide you a pleasant accommodation and the opportunity to relax in one out of the 6 suites we own that combine luxury and the Cretan tradition. Open: May - October... Mareblue Village Aqua Park is a water paradise, covering an area of 1500 square meters.A true Mediterranean getaway set in the outskirts of Chersonissos, nested in the wild beauty of a hill with spectacular views of the majestic Cretan Archipelagos. Beautiful in its symmetry and flooded with natural light, this village style property is airy and spacious offering both a relaxing and fun holiday for all. Situated 24 km from Heraklion airport, 1 km from the beach and 2 km from the centre of Chersonissos full with shops, restaurants and its legendary nightlife, makes it an ideal choice for both guests seeking a relaxing hotel based holiday or those looking for a lively getaway. 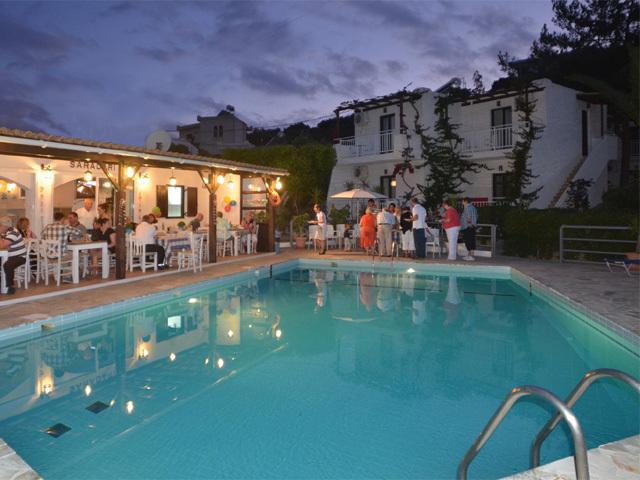 Open:April - October...If you're looking for a lovely holiday, Semiramis Village could be just the hotel for you. 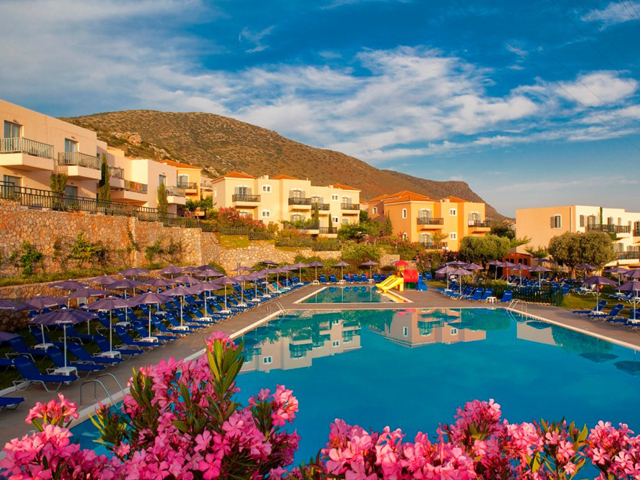 Located in an elevated position with spectacular panoramic views over the sea and the mountains, the hotel offers a great value base from which to explore all that this section of the Cretan coast has to offer. Open : May to October ... Saradari apartments is a small and friendly property. Surrounded by a colorful garden, with a great sea view it’s an ideal place for the guests who want to relax, meet new friends and have a great holiday. 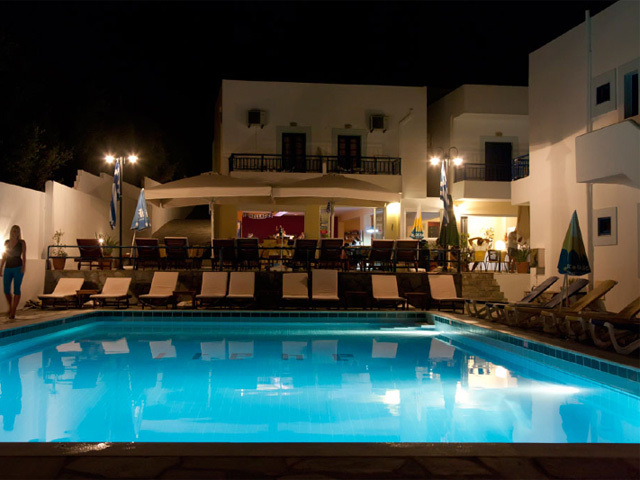 Open : May to October ... Irene Village is family ran Apart-hotel located in Hersonissos village, just a few metres away from the center of the village.